Can be used as a TV cabinet, lowboard, hi-fi cabinet, commode, side board, dresser, etc. 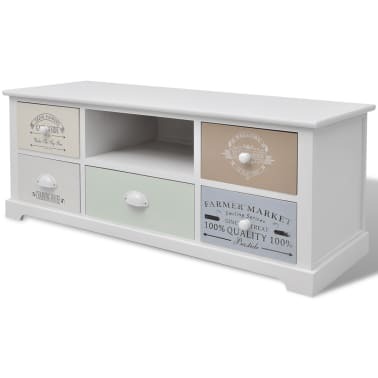 Add a touch of rustic charm to your home with this chic TV/hi-fi stand in a classic French country style! 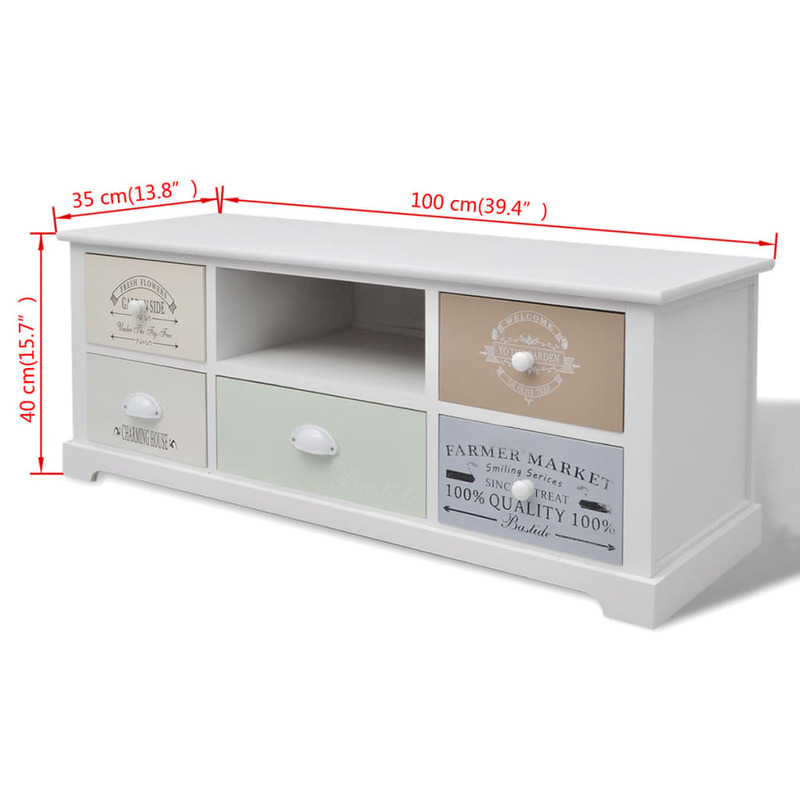 This antique-style side cabinet has 5 smoothly running drawers, which provide ample storage space for your personal belongings and will help keep your room tidy. 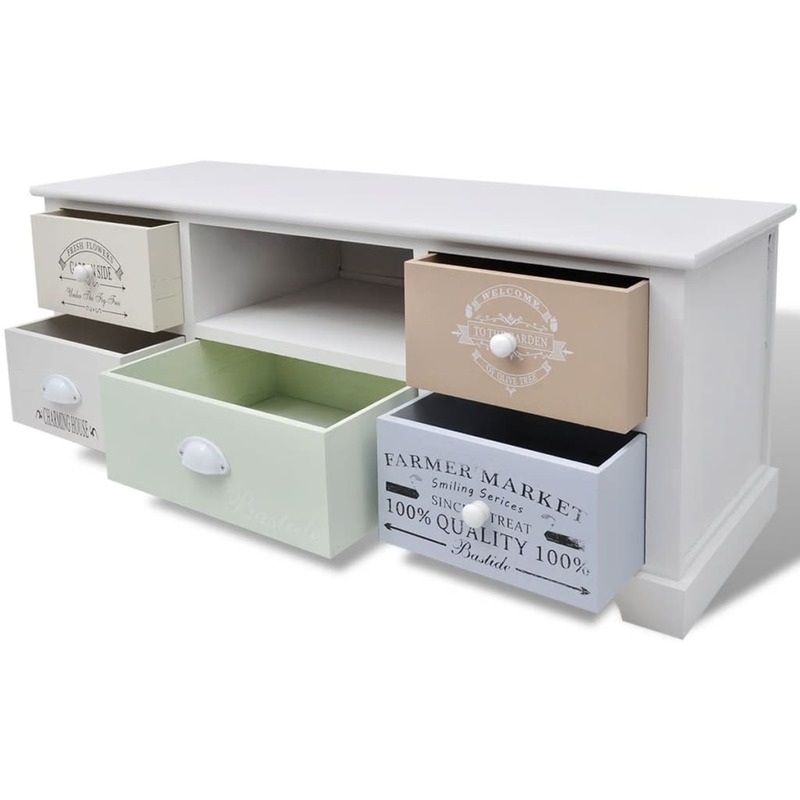 The middle drawer is painted in an elegant light green color. 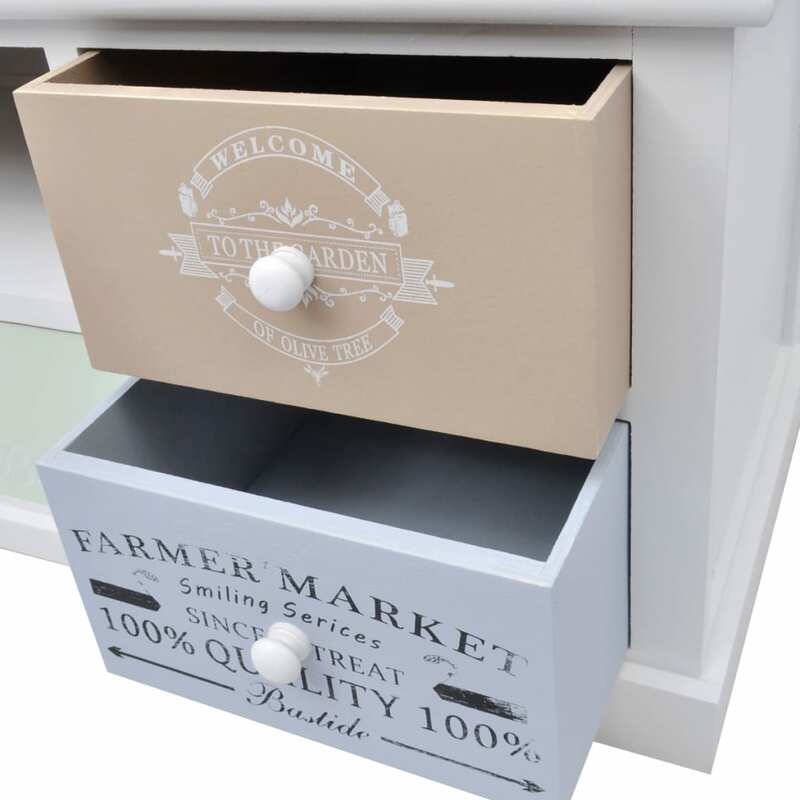 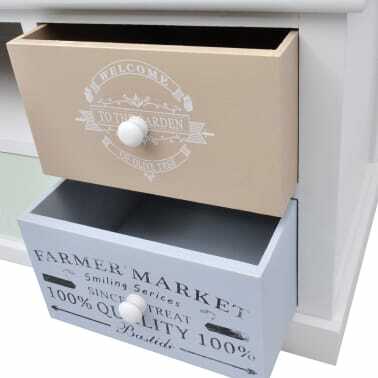 The 4 side drawers with vintage country-style prints add to the rural charm of the lowboard. 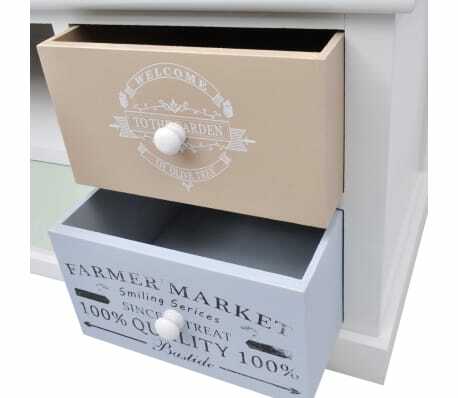 The side drawers can be exchanged. 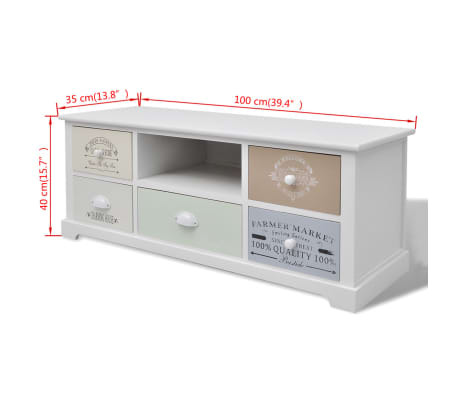 Above the middle drawer, you will find a spacious compartment, where you can keep items such as multimedia appliances, books, magazines and other items you’d like to keep within reach. 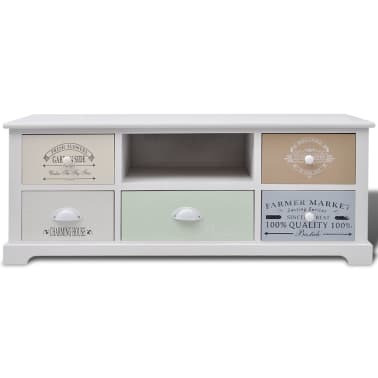 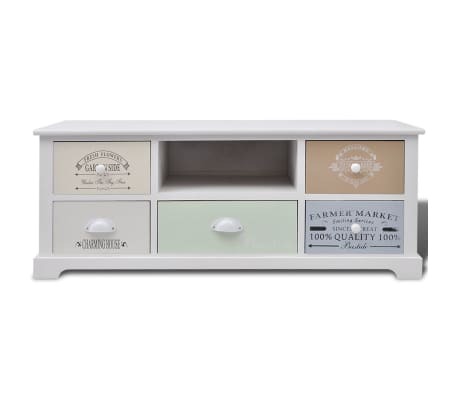 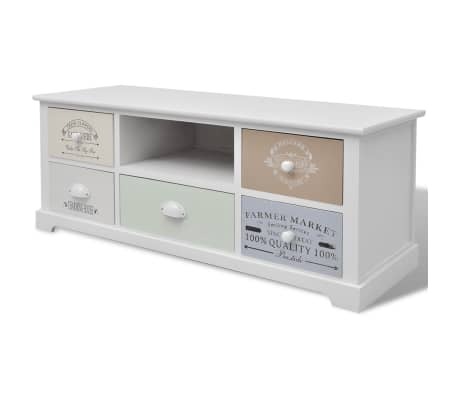 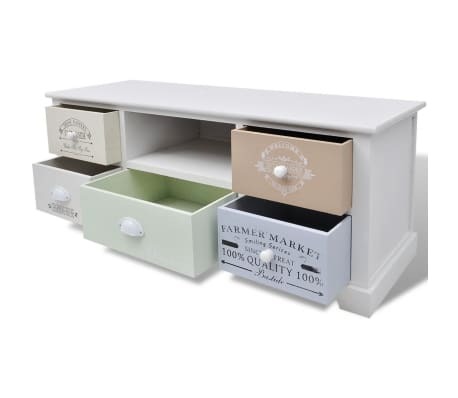 Made of high-quality materials, this dresser is durable and easy to clean.